Jean Cabut, a well-loved caricaturist known as “Cabu”, was among those gunned down when terrorists stormed the offices of Charlie Hebdo in January 2015. Almost two years on, “Cabu S’Est Echappé!” (“Cabu Has Escaped!”), a collection of 1,000 of his cartoons, many of them unpublished, has reminded France of his genius. Crude, puerile, sometimes funny though often tasteless, the caricatures earned Islamist ire for depicting the Prophet Muhammad. 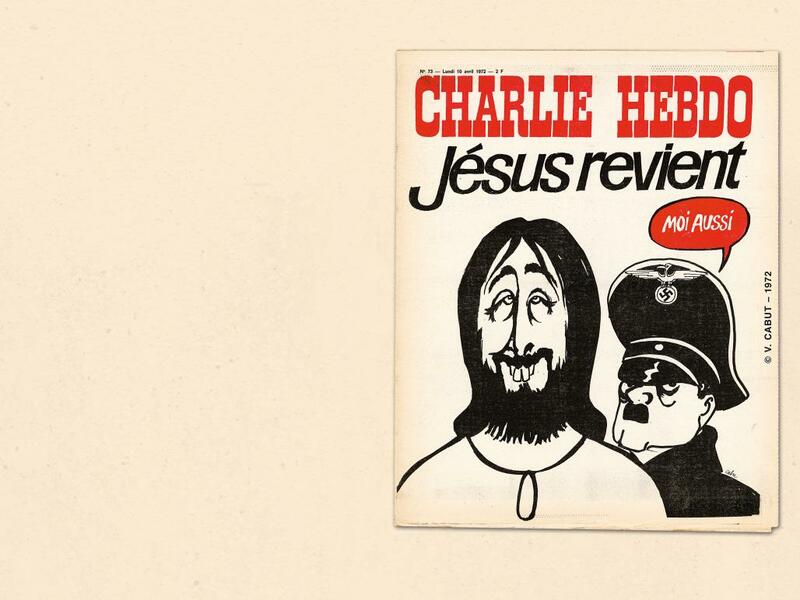 Yet the great virtue of this collection is to reveal the breadth of Cabu’s satirical gaze, over almost half a century of work: communists, Gaullists, the clergy and Jesus – as well as Islam – are each as much the subject of his merciless pen. “Eat Ting” is a lifestyle guide for urban, black South Africa, increasingly beset by obesity and chronic diseases. Mpho Tshukudu, a dietician, and Anna Trapido, a food writer, confront the challenges of shifting from poverty to the middle class in a generation, and the stigma attached to “poverty food” that leads too many to binge on Western junk instead. Traditional dishes are recast with an appealingly modern, international twist, in recipes like thepe (amaranth leaf) pesto, pumpkin stem salad with wild melon seeds – and yes, ting, a fermented sorghum porridge. Think Yotam Ottolenghi cooking with your grandmother. Rania Zaghir reads her books to dogs but finds sheep more patient listeners. Lebanon’s answer to Dr Seuss believes children are being starved of amusing Arabic literature by both religious zealots, who have sucked the fun from the language, and the country’s elite schools, which prefer French and English. Her latest book, “Khhhh: Kitab Laysa Aan Harf al Khaa” (“Khhhh: A Book That Is Not About the Letter Khaa”), follows a boy who overcomes life’s problems by flushing them down a toilet. The lively plot and beautiful illustrations have gone down a storm with parents who agree with Zaghir: books shouldn’t wear burkhas and curricula solely in French or English should, well, be flushed away. The painful and bloody drama of Spain’s civil war and dictatorship can be difficult to narrate to the young, especially as their parents and grandparents often disagree on exactly what happened and, especially, who was to blame. Some still claim the military uprising against an elected left-wing government was, if not necessary, at least inevitable. Others see General Franco and his right-wing rebels as the assassins of Spanish democracy. That is why the great histories of the period have been written by foreigners. 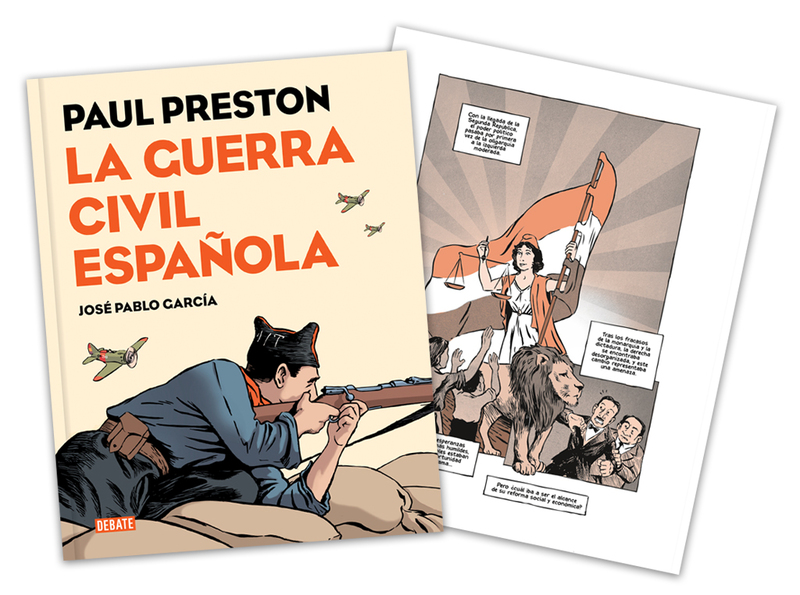 Now “The Spanish Civil War”, a seminal work by a British historian, Paul Preston, has been adapted as a graphic novel, “La Guerra Civil Española”. Two dimensional history, or a way, finally, to tell the story? The notes that Asli Erdogan’s supporters smuggle out of her prison in Turkey and share on social media blend sorrow with grim humour: “Winter is coming...but we feel warm because of you.” Erdogan (no relation to the president) was arrested in the purges that followed the attempted coup. She is not accused of supporting the coup; the charge – membership of an unspecified “terrorist organisation” – is presumed to be the result of her involvement with Ozgur Gundem, a pro-Kurdish newspaper that has since been shut down. Since her arrest sales of her novels have soared. “Kirmizi Pelerinli Kent” (“The City in Crimson Cloak”) has been reprinted twice in two months. It tells the story of a young woman called Ozgur – “free”. “It’s my story, but it tells the story of our society, too,” says Samia al-Amoudi of Muthakirat Imar’ah Saudiya (“Memories of a Saudi woman”). Through her candid meditations on her experience as a doctor in a male-dominated profession, her struggles with divorce and infertility, and her life as a public advocate for women’s rights, al-Amoudi’s memoir gives voice to some of Saudi Arabia’s most contentions social issues. “A lot has changed in my lifetime,” she reflects. At a time of increased calls for gender equality in the Kingdom, the book has gained a wide readership, already in its second Arabic edition within a year, and set for publication in English in January.